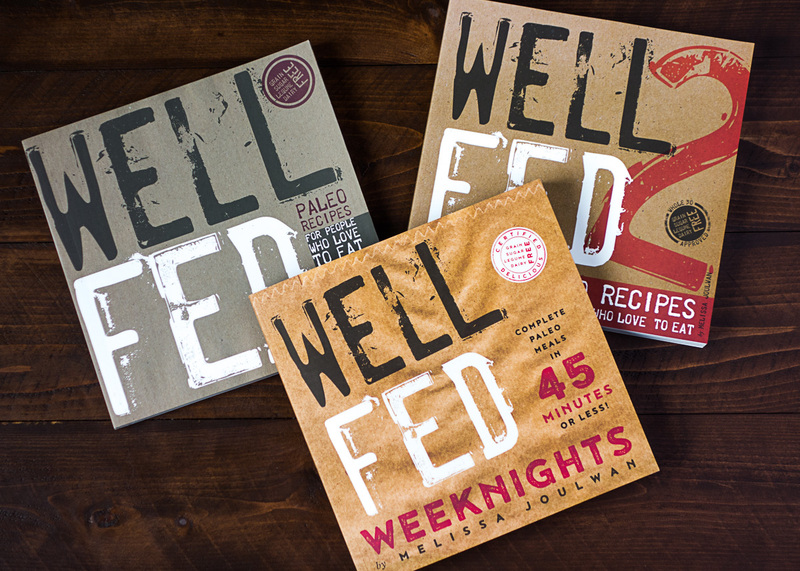 If you’re heading into Week 4—the final week!—of your Whole30®, congratulations to you! I hope you’ve reached the point where eating this way feels natural, and that you’re bursting with energy. By now, you should be feeling like a champ in the kitchen, so I haven’t prepared a detailed food plan for you this week. But I haven’t left you completely stranded either. Last week’s plan gave you plenty of ideas and instructions for creating your own food plan; so that’s a good place to start. But there are more helpful links below to help you happily, healthily eat your way through your final Whole30 week. Enjoy! Repeat Week 1: Featuring delicious recipes like Chocolate Chili, Paleo Pad Thai, Italian Pork Roast, and Silky Gingered Zucchini Soup. Repeat Week 2: Featuring scrumptious recipes like 5-Spice Pork Ribs, Cinnamon Beef Stew, Golden Cauliflower Soup, and Taj Mahal Chicken. Repeat Week 3: Which shows you how to easily create your own Weekly Cookup plan, with options like Thyme-Braised Short Ribs, Deconstructed Gyro, Pork Carnitas, and Rogan Josh. Make any of these Whole30-approved recipes: Here’s a kickass collection of 30 Whole30-approved recipes from some of the best paleo bloggers around. Dig into my most popular Whole30-approved recipes: These were the 15 most popular recipes on my site during 2013, and they’re all Whole30 approved. Browse my Whole30 recipe collection: Everything in those pages is Whole30 approved. Just in case you need additional ideas, support, and motivation, here are a few more tidbits to help make your Whole30 and beyond as tasty and stress free as possible. These meal plan inspiration posts really helped me get my stride with a Whole 30 weekly cook up. Thanks for everything you do for your loyal followers like ME! 🙂 I use your books every week and have given away numerous copies to lucky friends. Happy Whole30-ing! Thank you so much for buying our books and for sharing the Well Fed love. Really appreciate it! Just made the crunchy chick livers. The crust process is the most important, I see. Ended up chopping them up and mixing with my homemade mayonnaise and a little home made sriracha. Delish on a bed of arugula. Between you, Michelle and Julie I have been eating crazy good for 1 1/2 years. Come to Portland for book signing, please!!!! Your chicken livers salad sounds delish! And it’s a lovely compliment to be listed with Michelle and Julie — thank you! If I get out west, I will definitely let you know! That’s a neat trick, right?! Glad you like it! 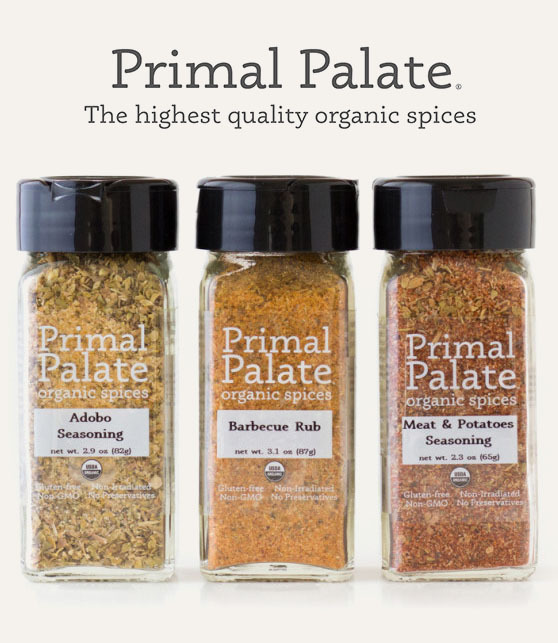 You should know that the spice blend for The Best Chicken Ever also works really well for The Best Lamb Chops Ever…. Pingback: Quincy City CrossFit – Day 21! Please post a few more weeks of food planning and the shopping lists!!! I will do WHATEVER you tell me to cook! Still getting the hang of this… Please send more helpful shopping lists and food prep strategies! I have shared you books and page with several friends. I think people have just forgotten how to shop and eat from scratch, help us ALL! I’m really glad you found these posts helpful… YAY! If you use Week 3 as a guide, you should be able to put together endless combinations of meals. I *might* do another batch of plans some time, but I think it’s really important for everyone to learn how to do it themselves. Feel free to email me if you have specific questions. Hey Mel! I will second this request for more cook-up plans. I’ve been doing this (Whole30/paleo) for years, and have no trouble making a Whole30 or paleo meal. But I can’t even describe how helpful these few weeks of meal planning have been. Just printing the grocery list and then cooking whatever you’ve listed in whatever order you’ve told me to means I’m successful in several ways that don’t come naturally to me. I’ve got a realistic and varied supply of food for the week, I’m forced to try new recipes, and what I cook is GREAT because I’m following your recipe. I can actually get all the cooking done in one afternoon because your efficient step by step instructions make it happen. Experimenting with foods/spices and making up new things just isn’t something that I’m good at. But I try and love the recipes you put in these cook-ups. I can still change things up with different veggies, but this just makes all the difference in the world in how happy everyone I’m feeding is with the food we have for the week. Which also means it doesn’t go to waste. I’m really glad you’re finding them helpful! As you can probably imagine, putting them together is pretty time-consuming, so it’s unlikely that I’ll do a whole bunch of them soon. But the week three guide provides lots of guidance for how to kind of make up your own plan for the day. I feel like there should be an app for this haha 🙂 Choose your slow cooker recipe, choose your “simmer” recipe, choose your veggies, etc….just select from the approved recipes/ingredients, and it will generate the shopping list and cook up plan for you! If only I were an app developer….a girl can dream. 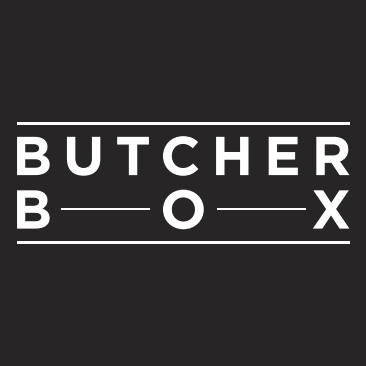 Thanks for all you do to provide us with amazing food during our Whole30s and beyond! I am successfully entering the final week! I have stuck mostly to Well Fed 2 for the last three weeks as to not get overwelmed. My favorite “new” favorite is Taj Mahal Chicken. I’ve loved all the food and will keep using these fun new recipes. Admittedly, I am REALLY looking forward to a glass of wine on Jan 31st! YAY for you! Congratulations! Glad you like the Taj Mahal Chicken — it’s gloppy good, right? I hope you really enjoy your wine on the 31st. Savor every sip! Thank you so very much for your website. 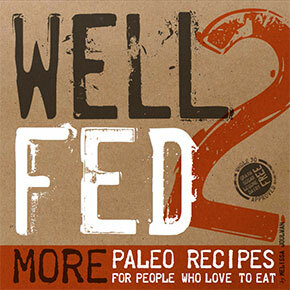 I bought WellFed 2 after doing a tiny bit of Paleo Diet research. I knew I was turning to some type of gluten free diet, and had met a couple of Paleo people and decided to dive in. 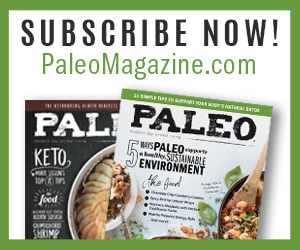 THANK GOD for your website – the recipes, shopping list and meal plan were so well done, and layered with the book and your notes we have had 3 solid weeks of Paleo diet. (and god bless the commentors who provide critical intel like slow cookers that turn themselves down or off) My grown (finicky) kids actually liked the “new” food, too!! Taj Mahal chicken is my favorite! 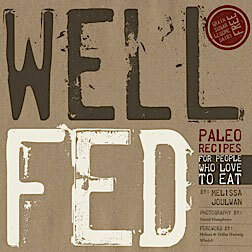 Thank YOU for buying Well Fed 2 and congratulations on making the switch to paleo. I’m happy the meal plans helped you out. Awesome! Wishing you and yours many happy, healthy paleo meals. Let me just say thanks for much for these plans and your cookbooks. 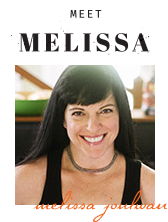 I recently stumbled upon you blog, after many recommendations from NomNomPaleo, and am glad I did. I’ve completely co-opted your cooking style, large batches, steam-sauté, etc, and it has made this Whole30 of mine quite a success. Even my none Dino-Chow girlfriend has done great as she joined me on the Whole30. Also, your cookbooks are absolutely awesome, bought the second first (for some reason) and now I think I’ll have to buy the second. Keep up the awesome work, it is greatly appreciated. Thank YOU for taking the time to comment — I’m glad you found me! And congratulations on Whole30-ing! It’s such a great accomplishment. Thanks for buying our cookbooks — really appreciate it, and I’m happy our recipes are making your meals tastier. Happy cooking! I’ve done one whole30 last November. I started a second a few times this month but wine sometimes calls my name. In any case, I’m starting a whole30 for the last time this month! I WILL complete it! I have a question about your velvety butternut squash recipe. Could the be done with carrots instead of butternut squash? Thanks for your input and your site and your recipe books! I think that recipe would work really well with sweet potatoes, acorn squash, pumpkin… but I think carrots will be too sweet and have too much moisture. Is there a reason you want to use carrots? I just have a lot of carrots and only one small acorn squash. No worries. We eat roasted carrots by the handful so it’s all good. But my husband LOVED the casserole so looking to make another but different? I’ll use the acorn squash with sweet potatoes . Well, I’ve just finished Day 30! Had heaps happening last few days (emergency op for dog etc) so haven’t read everything yet. But on my adgenda as things settle. But I haven’t once turned to comfort food! Amazing! Now I know why! Actually most of the info in It All Starts With Food is stuff that I have gleaned through many a webinar or article… but you have made it all so clear and done the join-the-dots thing so well! It has become ‘personal’ at last! Like leptins and why they weren’t doing their thing for me! Now they are! Woo-hoo! 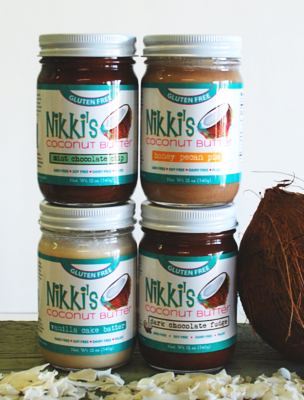 Sugar levels surprised the diabetes dietitian who said she will look into Whole30! Congratulations on completing the Whole30! I hope you’re feeling really great and very proud of your accomplishment! Yes Mel, Feeling great! But I have decided to stay with Whole30 for another round before testing the food groups. On scales today… nearly 7kg since mid December! I have messed my body (and had it messed by meds) for too many many years. What is hinted at by your reference to Whole45, Whole60? More support? 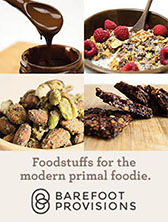 Becky, I will definitely be at PaleoFX — please do introduce yourself. I’d be so happy to meet you in person!